The story of the decade is about to explode. Los Angeles, 1967. Welcome to the Summer of Love. 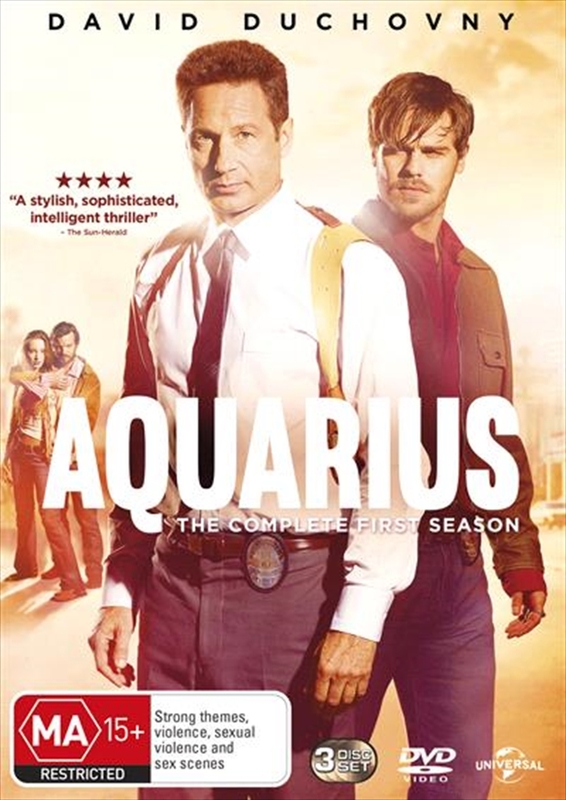 Aquarius stars David Duchovny as Sam Hodiak, a seasoned homicide detective whose investigations dovetail with the activities of real life cult leader Charles Manson in the years before he masterminded the most notorious killings of a generation, the Tate-LaBianca murders. A small time but charismatic leader with big plans, Manson has begun to build up his "family", recruiting vulnerable young men and women to join his cause. Teaming up with a young cop who will help him infiltrate Manson's circle, Hodiak is forced to see things through the questioning eyes of someone who came of age amongst the current anti-establishment counterculture. Edgy, addictive and visually stunning, the Age of Aquarius is here.